How does one of the best goalies in the world go about his business with hockey’s most treasured team trophy on the line? For Jonathan Quick, it’s one save at a time. When it comes to dissecting his game, the man who wears No. 32 on the back of his Los Angeles Kings’ jersey prefers to look at it in quite simple terms. The stops he makes, like several head-turning beauties in Game 3, or routine, low-percentage chances, are treated in the same regard. Tough or easy, Quick is zoned-in on not letting any of them get past him. And on the occasion when one manages to turn on the red light, the Connecticut native simply doesn’t get rattled. Even when he’s not error-free, Quick’s calming presence gives his teammates all the self-assurance they need. The math is simple: the bigger the magnitude of the game, the better Quick is. 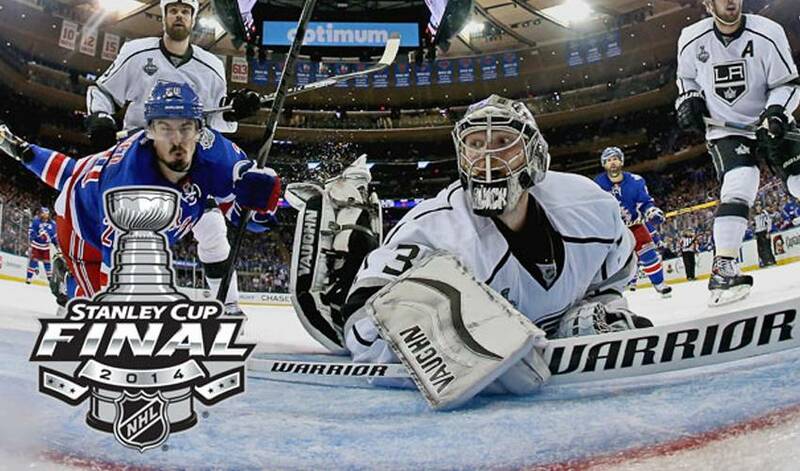 In 2012, Quick won the Conn Smythe Award as Playoff MVP, leading the Kings to their first Cup triumph. He fashioned a 16-4 record with a 1.41 GAA, a .946 save percentage, along with 3 shutouts. Once again, he’s right where he wants to be. And the ones that bring out the very best in Jonathan Quick. Doing it his way – one save at a time.